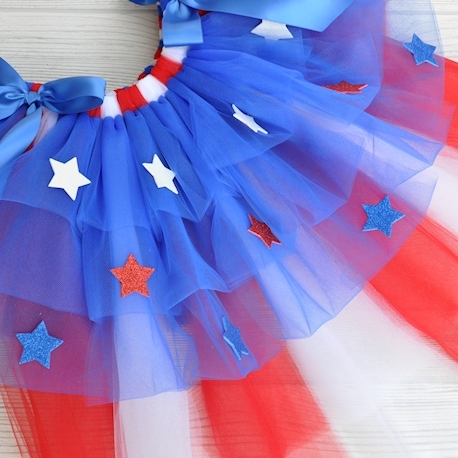 Red, white and blue Fourth of July bustle tutu for infants, toddlers, girls, teens and adults. 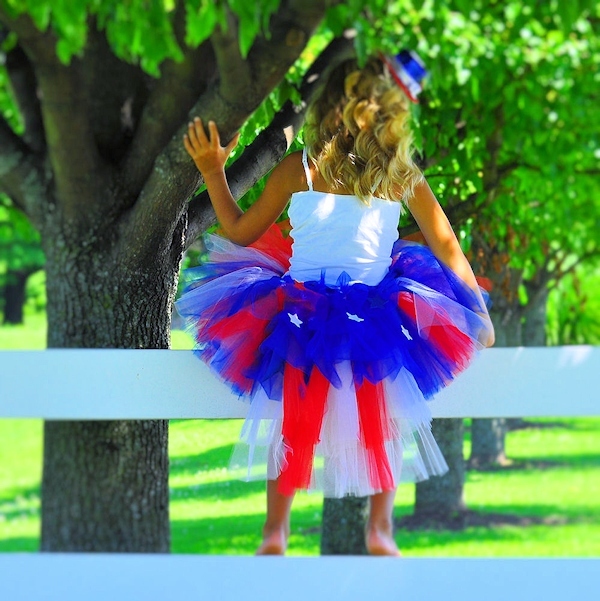 Celebrate the 4th of July, Memorial Day or Flag Day with this gorgeous red, white and blue bustle tutu. 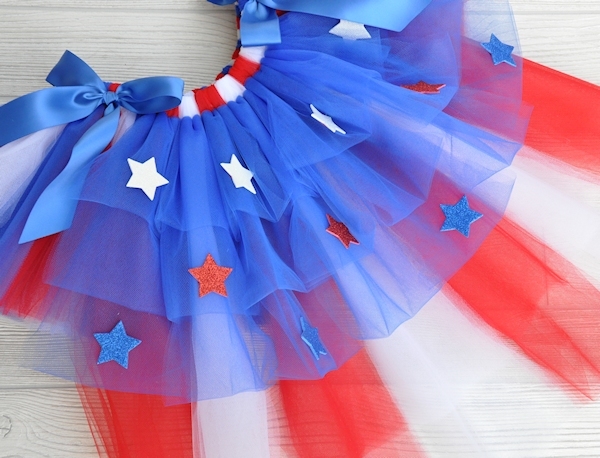 This is a perfect tutu to show your patriotism in an Independence Day parade and makes a stunning dance recital or pageant costume. The Stars and Stripes bustle tutu was created to symbolize the American flag with royal blue tulle carefully layered in three rows of loops at the top of the bustle, and red and white tulle striped for the bottom layer. Red, white and blue glitter stars adorn the blue section of the bustle.